It appears Dino Babers may have found his new favorite recruiting spot for running backs. Wax is now the Orange’s third commit in the 2020 class, joining Tucker and defensive end Kevin Lemieux who committed just less than a month ago. A rising senior at Mount Saint Joseph (MD), Wax checks in as a three-star recruit according to 247Sports and is rated as the fifth-best running back in the state of Maryland, just two spots behind his new teammate, Tucker. While Tucker gives the Orange breakneck speed in the 2020 RB class, Wax provides a pop of power. At 6-foot-1, 225 pounds, the guy flat out packs a punch when he runs into you. Not one to shy away from contact, Wax is just as comfortable running through you as he is running around you. In fact, after watching some of his tape, it looks like his best skill right now might be his ability to break tackles in the open field. On multiple occasions, he either just runs people over or spins off would-be tacklers with ease. If Wax packs even more more strength and Tucker continues to fly, SU may just have a future Thunder & Lightning combo on their hands à la USC’s Lendale White and Reggie Bush in the early 2000s, albeit a scaled-down version. Now that? That would be fun to watch. With that being said, Wax is not just a power back. He’s very elusive in the open field for his size, easily putting a number of defenders on their rear ends in his highlight tape. That won’t be quite as easy going up against ACC defenders when he gets to the next level, so agility will be something he works on when he gets to Syracuse, but there’s already a pretty good foundation there. The most intriguing part about Wax’s commitment outside of his physical talents are the high school system he’s coming out of. From the looks of it, Mount Saint Joseph runs some version of a spread offense and more often than not has its QB in the shotgun with a back on one of his hips. Sound familiar? So often high school offenses operate out of a more traditional and/or under-center scheme, meaning that guys have to learn to spread things out and operate out of the gun when they get to SU. For Wax, it seems like the learning curve won’t be as steep as normal considering he’s already comfortable taking snaps out of the shotgun and dealing with a lot of pre-snap motion. That brings another bonus to an already compelling addition to the Orange’s 2020 class. 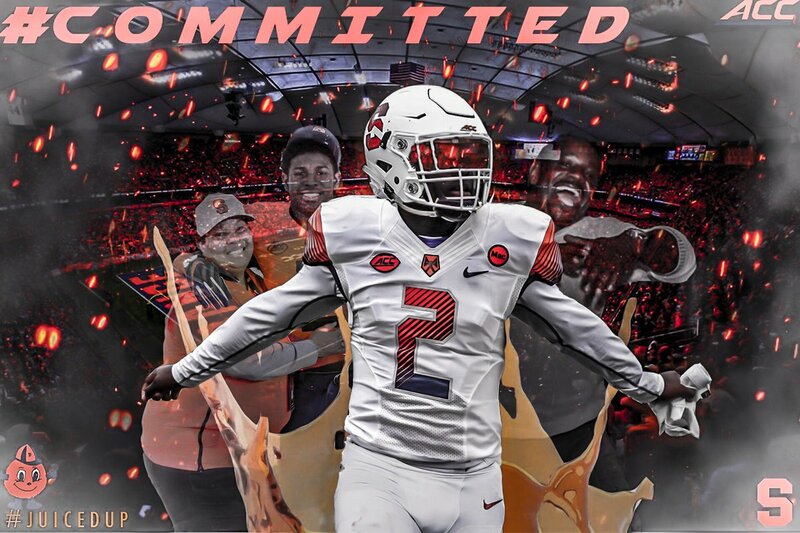 Wax will only help to provide even more depth in future Syracuse running back rooms that are already starting to look loaded.